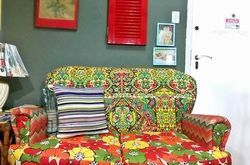 Property Location With a stay at this apartment in Rio de Janeiro (Copacabana), you'll be minutes from Chacrinha State Park and close to Sugar Loaf Mountain. 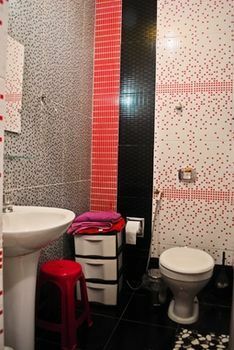 This apartment is within close proximity of Edmundo Bittencourt Square and Rio Sul Shopping Mall. 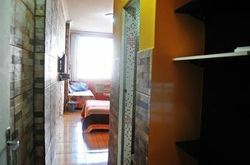 Rooms Make yourself comfortable in this air-conditioned apartment, which has a kitchenette. A flat-screen television with cable programming provides entertainment, while complimentary wireless Internet access keeps you connected. 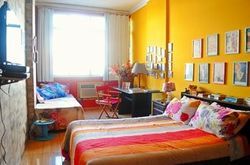 Conveniences include a coffee/tea maker and an iron/ironing board, and housekeeping is provided once per stay. Business, Other Amenities Featured amenities include a 24-hour front desk and an elevator (lift). A roundtrip airport shuttle is provided for a surcharge (available 24 hours). 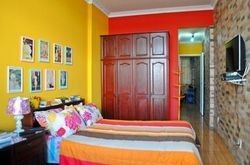 If you are looking for accommodation in Rio De Janeiro, we can recommend you to check Linkhouse Copacabana's Heart. We stayed there and had a very pleasant time. If you are traveling to Rio De Janeiro you shouldn consider staying at Linkhouse Copacabana's Heart. It was a unique experience!